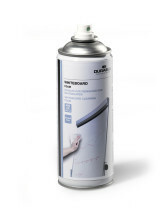 Pump spray for cleaning and maintenance of whiteboards. 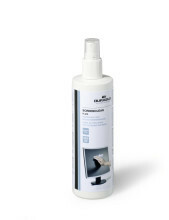 Cleaning wipes for tablets, smart phones, laptops and navigational devices. 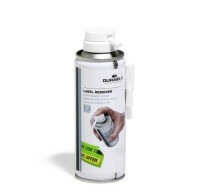 50 individually packed, moist low-lint wipes pre-saturated in alcohol-free cleaning fluid for cleaning all hard surfaces. 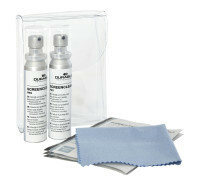 Lint-free, highly absorbent bonded fibre cloths for cleaning all hard surfaces. 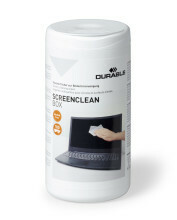 This PC Cleaning kit contains everything you need to keep your workstation clenaing. 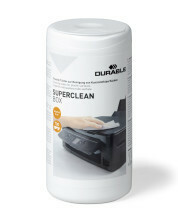 Contents: 1 x 150ml Surface foam, 1 x 125ml Screenclean fluid, 10 x absorbant wipes, 1 x keyboard tool. 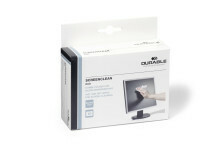 100 extra-long cotton buds for cleaning inaccessible parts of office equipment. 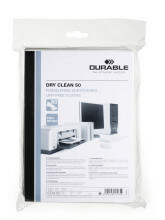 50 moist cleaning wipes for telephones and mobile phones. Individually packed, therefore ideal for travelling. 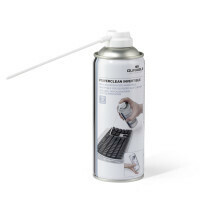 Containing Bact-O-Clean. 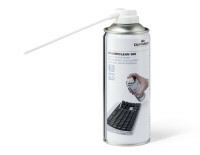 Compressed air cleaner for removing dust and dirt from hard to reach areas. 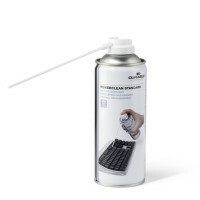 Supplied with spray tube. 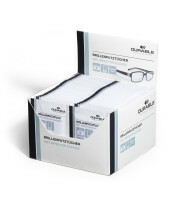 50 pairs of moist cleaning wipes for glass or plastic lenses, car mirrors, optical equipment such as camera lenses or binoculars.